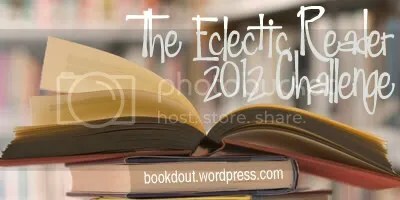 I hope you will join me 2012 for the Eclectic Reader Challenge! The aim of The Eclectic Reader 2012 Challenge is to push you a little outside your comfort zone by reading up to 12 books during the year from 12 different genres. * You can read your chosen titles in any order, at any pace, just complete the challenge by December 21st 2012 to be eligible for the prize drawing. 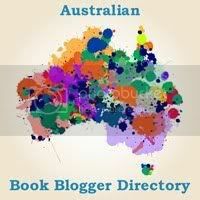 All participants that complete the challenge by December 31st 2012 will be eligible to win a book of their choice to the value of $15AUD from bookdepository.com or a $10US Amazon gift card or paypal funds of US$10 to be drawn via random.org Jan 2013. I guess I forgot to list the blog where I’ll be tracking these…it’s Curl up and Read. Wonderful – don’t forget to enter your details into the challenge linky! I’m giving the challenge a go! I read a heck of a lot, so I’m interested to see how quickly I can get through all the genres! Yay Pam – glad you have signed up! 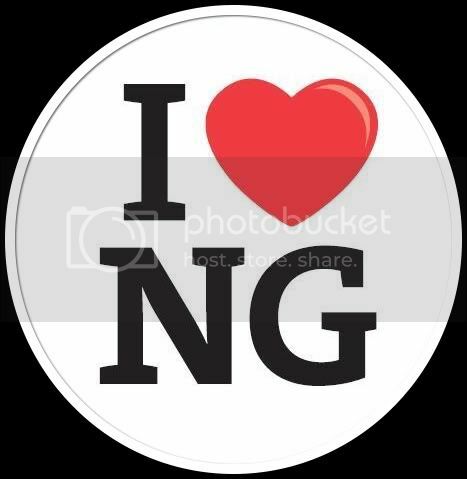 Thanks Nina – glad to have you join me, I look forward to seeing what you read! Also I was wondering, what exactly counts as Literary Fiction? For Your Favorite Genre, can it be one of the other 11 or something totally different? For example, my favorite is science fiction, so I would be reading 2 books in that genre. Thanks. This is a great idea for a challenge! Thanks for hosting! I hope you enjoy the challenge Jen! Glad to have you Marce! No need to be nervous Cassie – have fun with it! Oooh! I love a good challenge. This will be like a online book club of sorts. Though I may need some good recommendations when it comes to Horror. I don’t know if I have read anything in that category ever. Glad to have you join us Colleen! I’m excited to join your 2012 reading challenge. It is definitely going to take me outside of my comfort zone, which is mostly mysteries, but I am up for the challenge. Just one question: Do we need to read the books in the order as you have listed them? Thanks! Thanks for joining the challenge! To answer your question – you can read in whatever order you like. I swore I wasn’t going to do another one… but I’m in! Hi, there! Do ebooks and audiobooks count? Hi Darlene – they certainly to do count! Thanks for hosting, Shelleyrae! Looks like it will be fun! I just joined your challenge. I also made an error. please delete me from the linky. sidne eclectic reading challenge. 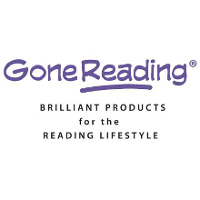 there are two.l the correct one is sidne’s eclectic reading challenge reviewz. thank you. This is a great idea. I’m always looking for encouragement to read new genres. This should be fun. This is my kind of challenge….I love the variety!! Thanks for organizing! This is a great idea… I’m in! Question: I’ve entered my blog info in the Linky Thingie… when I have review posts, do I enter them somewhere as well? I am all signed up!!! Most of my books have been chosen so am looking forward to breaking out of my mould!!! Glad to have you Michelle! That will be lots of fun,, I’m in!! I love mixing up the genres. Thanks for hosting! Thank you for hosting this challenge! It will be fun to make sure I’m a well-rounded reader this year! I’ve signed up! Thanks for hosting this challenge Shelleyrae. Regrettably, I must asked to be removed from challenge. I don’t think I will be able to handle a few others I’ve joined. I took an even challenging new job after much pleading and salary blackmail. I will need six months just to pull the place to general standards before state inspection. I’m number 54, sidne,eclectic reviewz.. Hope to join in next year. This should help me find some new authors and types of reading. I tend to love the Urban Fantasy and SciFi stuff, all with Happily Ever Afters of course. I have signed up since I am hosting a challenge that the genre changes every month I will be able to meet this challenge of 12 different genres!!!! Visit my blog at http://www.curlingupwithagoodbook.com to join my challenge that goes along with this one!!!! I’m definitely interested! I’m combining this challenge with the 2012 End of the World Challenge, and it’ll help me on my way to reach my reading goal on goodreads! Hi shelleyrae, sorry about the multiples the linky thing kept saying there was a problem with the image, this ones a non-fiction entry. I forgot the html on the sign in page and sent the wrong ending in an email. I have several of the books you list under Literary Fiction but have to figure which one I want to read again. What a great challenge! There are several genres I NEVER read (e.g. Horror), so this will be a fun adventure! 🙂 Thanks for hosting! Can you update my link — http://benonsensical.com/blog/2012-reading-challenge-3011 sorry. What a great idea. I’m looking forward to reading some new (and scary!) novels. I’m going to give this one a shot. I’m excited for this one!! I haven’t made my list yet, but I plan to read as much as I can!! Back in my comfort zone with this one. Thought this would be a good way to stop reading the same things over and over…I am so excited! hi,i have just signed in this and its very nice and interesting.Thnks for it and it is my first chllenge or something new to explore as am a new blogger.Just wanted to ask whether canterville ghost can be entered the genre horror as it is a horror-comedy novel,it has both elements. here is the link for my blog for this challenge. I’m looking forward to getting stuck into this challenge, it’s my first book challenge! I’ve nearly finished this challenge. I’ve only got 3 books to read – Sci-Fi, Classic & Fantasy. Thanks so much for hosting, I’m really looking forward to completing this challenge. I finished the Eclectic Reader Challenge this morning! Really pleased with myself and have really enjoyed being a part of this! 🙂 Thanks! Very late in the piece but I am signing up today! First review is Canada by Richard Ford. Still looking for Fantasy recommendations. Any ideas? Thanks again for hosting this challenge. I didn’t quite manage it in the end, but I widened my reading beyond measure! I really enjoyed reading the different genres and surprised myself by reading and enjoying books that I wouldn’t have gone near previously. The 2013 genres are interesting so I might sign up again. Happy reading and have a Merry Christmas! Thanks for hosting, I really wanted to go outside of my genre but I couldn’t come up with a Fantasy or Science Fiction read, sigh. Made it! Complete and I still have 2 days to spare. Greetings, This is Cynthia at The Eclectic Reader books in Fort Collins, Coloraodo, USA. I’ve been The Eclectic Reader since 1994 as a home-based bookstore, then moved to a “brick and mortar” retail store again in 2011. I was going to run the exact same contest last year (my sister said not to) but will probably do it this year. It will be an in-store event and not on line. I meant to tell you last year that we were twins but never got around to it. 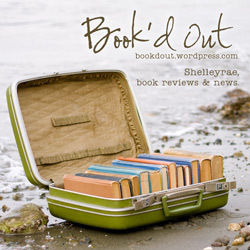 Visit my website: eclecticreaderbooks.com Here’s to eclectic readers all over the world!